When you come to our office for a contact lens evaluation, you will receive a comprehensive eye exam, during which your ability to wear contact lenses will be carefully evaluated and honestly discussed. 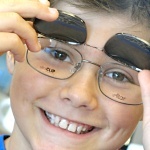 Lone Star Family Vision has a special selection of frames created especially for the smaller faces of children, with the hot looks and the kid-friendly brands that will make your child excited about wearing their eyewear. We have a wide selection of stylish,quality frames with a variety of options to choose from in both frame type and lenses. All of our glasses come with a full one-year warranty at no additional cost! 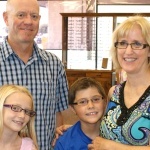 Dr. Clay Widmann, Therapeutic Optometrist, has been practicing family optometry in Waco for over 30 years. 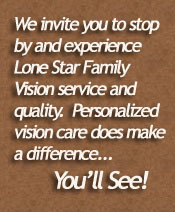 At Lone Star Family Vision in Westview Village, he is able to offer his patients an on-site selection of eyeglass frames and lenses in addition to vision exams, eye care and contact lens fitting and sales, all with the same friendly and individualized service that his patients have always enjoyed. Lone Star Family Vision has the ultimate convenience of store-front parking (without the crowds and hassle of an indoor mall). Appointments are available and encouraged, but walk-ins are always welcome. Warm, comfortable surroundings and a friendly, knowledgeable staff allow you to shop unpressured for eyeglass frames and lenses, with a range of styles and prices to suit any taste and budget. We have frames for all ages, with special lines for children and teens. Our trained staff will help you evaluate your vision insurance benefits and how they can be applied to your services and purchases. We work with most major vision plans. Vision Correction - contact lenses, glasses and laser surgery mgt.